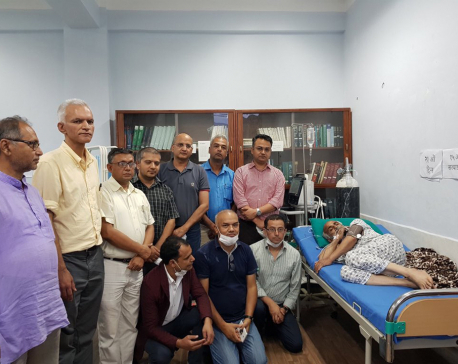 KATHMANDU, July 20: Nepal Medical Association (NMA) took to the streets on Thursday to protest against the government’s apathy toward addressing the demands of Dr Govinda KC. The umbrella organization of doctors across the country organized a demonstration that drew over 1,000 doctors, medical students and civilians. The participants of the demonstration dubbed as “umbrella protest” marched from Maitighar Mandala and went through Babarmahal and Bijulibazar and converged into a rally at New Baneshwar expressing their solidarity with the demands of Dr KC. Addressing the crowd of protesters at New Baneshwar, NMC President Dr Mukti Ram Shrestha clarified that the association is not against the government but its decisions regarding Dr KC’s demands. 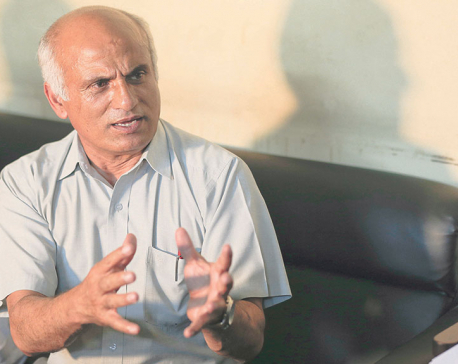 Dr Shrestha warned that they would be forced to halt medical services for an indefinite period if Dr KC’s demands were not addressed. The NMA demonstration was attended by a few parliamentarians and leaders of Bibeksheel Sajha Party including Ujjwal Thapa, Bijay Babu Shiwakoti, Milan Pandey and Ranju Darshana. During the rally, protesters compared Prime Minister KP Oli with Rana prime ministers and chanted strong slogans against the government. Their placards read “Respect freedom of people”, “Medical act is lost under communist government”, “Ensure free and quality medical education to all” and “We don’t need a mafia-friendly government”. Senior police official on duty said more than 200 police personnel were mobilized to manage the crowd. Separately, Nepali Congress-affiliated Nepal Student Union (NSU) also hit the streets in different parts of the country on Thursday to protest against the government’s latest move.